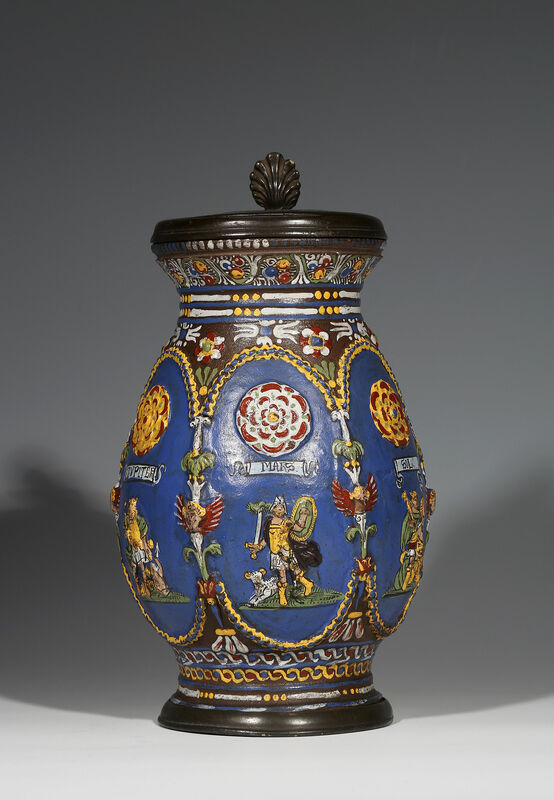 Decorated in blue green, red, yellow, pink and white enamels on a dark brown salt-glaze, with Roman gods representing the ‘planets’ Saturn, Jupiter, Mars, The Sun and Venus under rosettes set in cartouches edged with cherubs and palms. 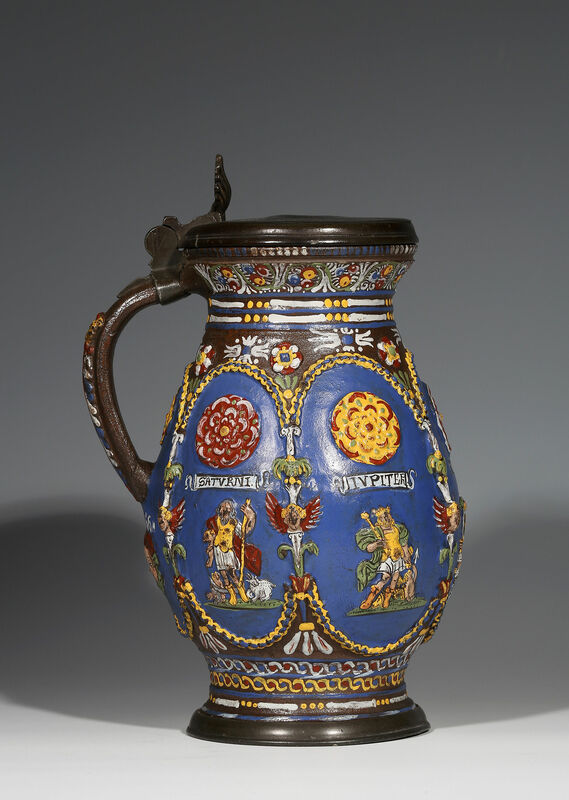 The style and palette of the enamelling is very similar to that of the German and Bohemian glass of the period and it is possible that it was done by some of the same painters. 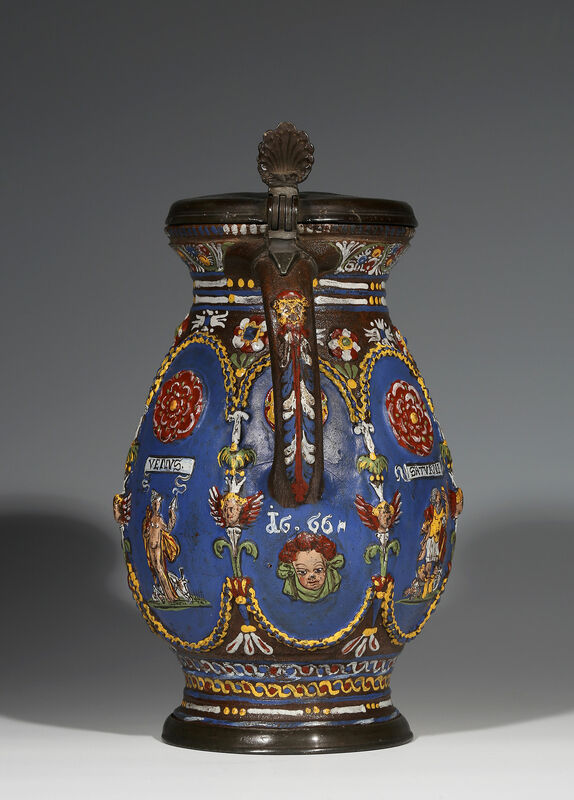 It is one of the earliest instances of enamelling on ceramics. 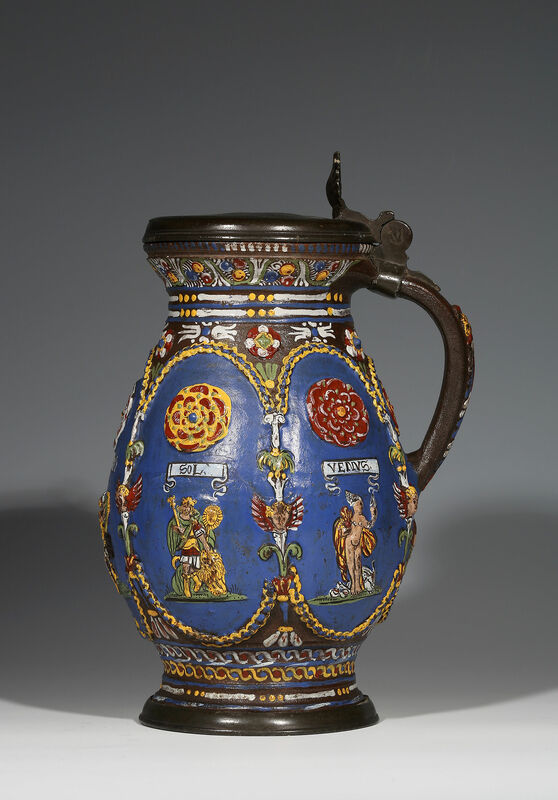 David Gaimster points out that Creussen wares were never mass-produced unlike some other stoneware of the period. 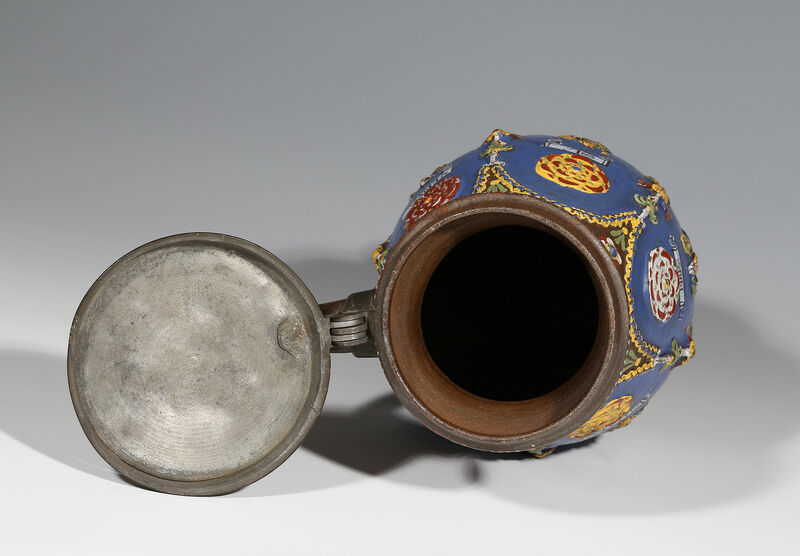 He suggested that only about 1,100 Creussen vessels have been recorded. Condition – Slight surface wear to enamels. The pewter mount worn through at the edge.